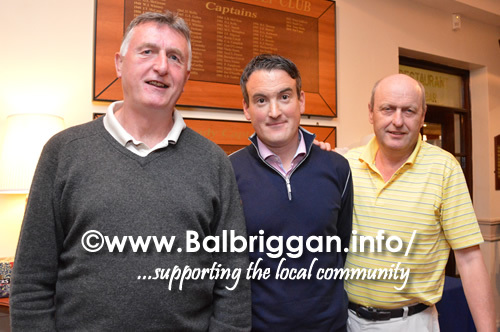 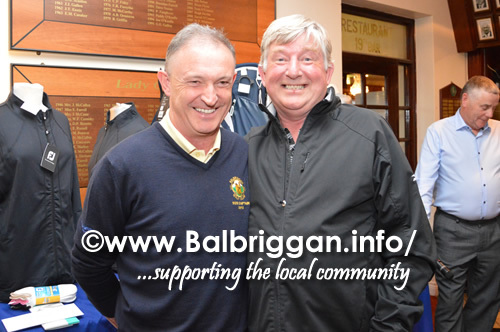 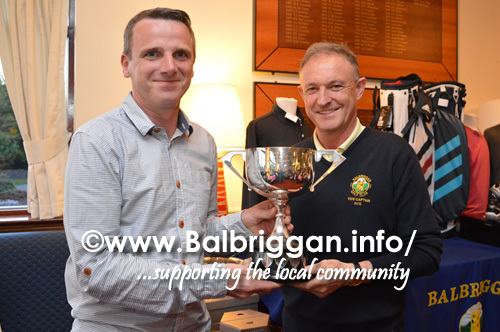 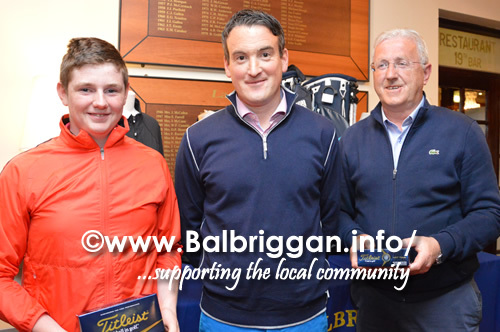 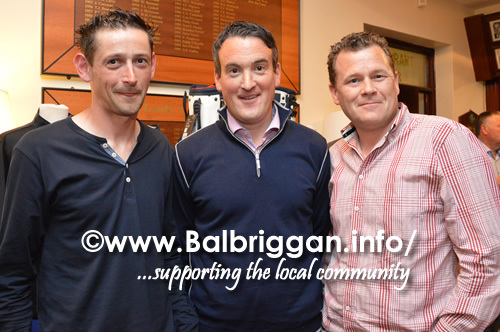 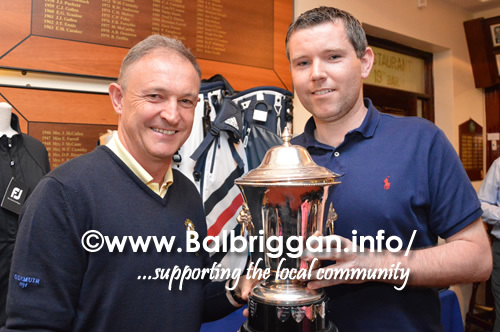 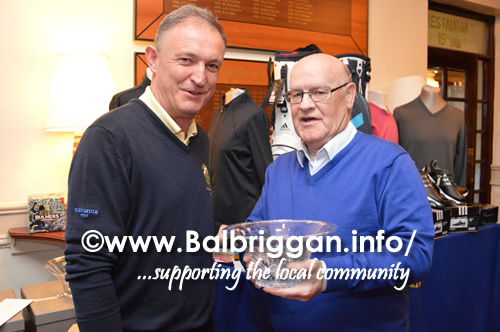 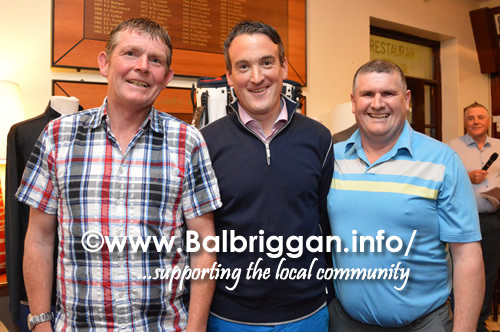 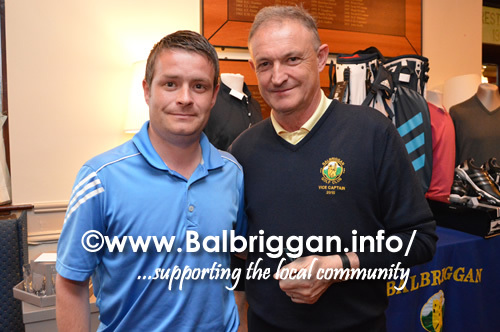 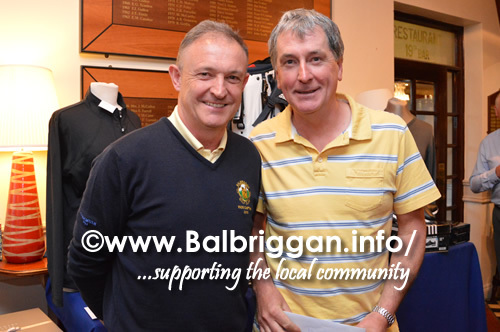 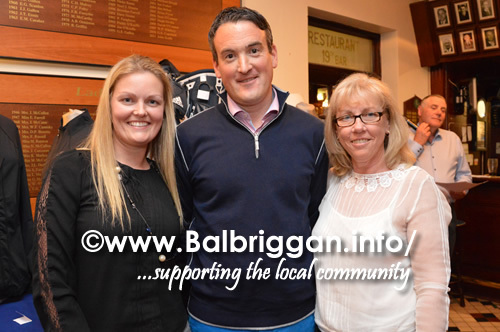 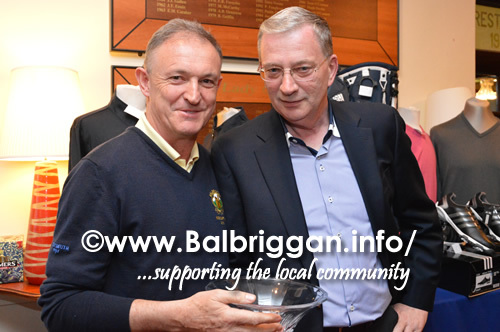 As Nigel Howley Pro-Golfer at Balbriggan Golf Club takes on Captain of the PGA this year Balbriggan Golf club took the opportunity to make a presentation to Nigel as a way of thanks for all his support and hard work over the years. 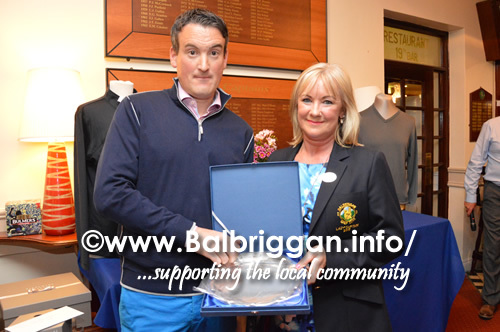 The presentation was made by Lady Captain, Collette Guildea who spoke very highly of Nigel in his support for the club and players over the years. 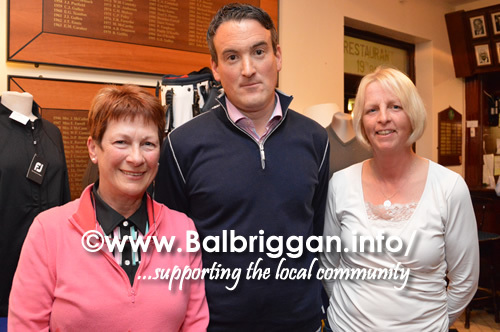 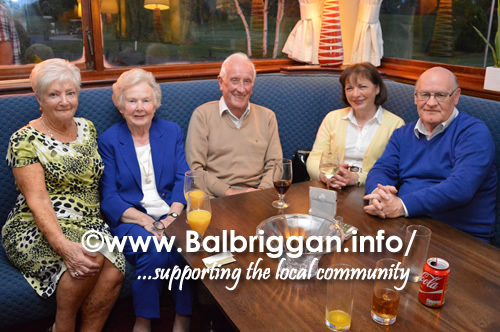 On the night awards were presented to the winners of the Ladies Open Fourball, the Intermediate and Minor Scratch Cup and the Four Ball Open week.